When a fitness facility demand the very best, The TRUE CS550 treadmill is the perfect option. True have demonstrated a 30-year commitment to making the finest treadmills in the world, with precision hand-built craftsmanship, innovative user-centric features and quality components. Classic aluminum powder coat finish and matched aluminum straddle covers add a stylish touch to this rugged performer. The CS550 is equipped with a digital contact heart rate monitoring system as well as a Polar® wireless telemetry system to assist users in maintaining their optimum heart rate and maximizing workout results. One touch HRC Cruise Control® is also included, which allows the user to “lock in” on a specific target heart rate. Once the target is set, TRUE HRC Cruise Control will adjust the speed and incline automatically for the entire duration of the workout to maintain the targeted heart rate (very much like the Cruise Control in your car). TRUE’s patented Soft System™ offers the most orthopedically correct running surface available. Mid-bar control switches put the power literally at your users’ fingertips. 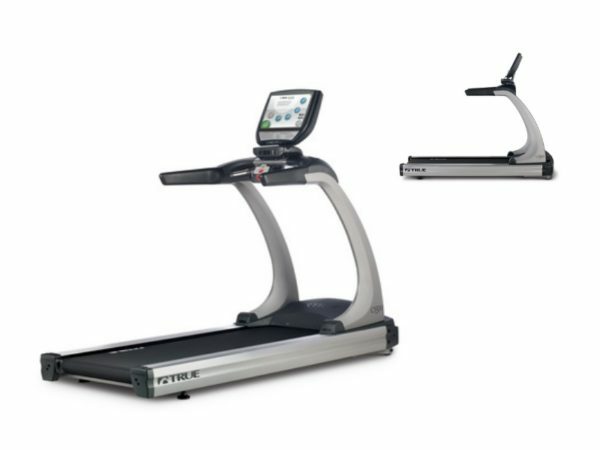 Buy True Fitness CS550 Treadmill online. If you are interested in the True Fitness CS550 Treadmill for sale, feel free to enquire above.